The tale of puberty, that difficult, awkward phase of a person’s life, has been told many times. I recall it with alternating flashes of embarrassment and nostalgia. There are some parts of it I think of fondly—the suddenly much more serious friendships, the whispers of crushes and romantic interest—and others I prefer to forget. Why do I begin with this? I’ve read, somewhere, that the books we read in that phase, or as young teenagers, are the ones that affect us most, that stick with us and mould what becomes of us later on. I don’t know where this was, or even whether it’s scientifically proven, but I’ve often thought of it, and wondered at its validity, especially in my life. It’s true, for me at least, that the books I read in those years, 13 to 17, are the ones that have stayed with me longest, and still feature on my ‘top ten’ lists, even now, more than a decade later. Urusla le Guin’s books were among those. I still remember it so clearly. When I hit 13, and my body began its weird, inexplicable morphing towards adulthood, my mother made me start ‘exercising’. This was very strange to me, since I was a fairly active child, attending dance classes and karate classes. True, I spent most of my time between those classes lying around and reading, or walking around and reading, but this emphasis on ‘exercise’ mystified me. She would make me, and my sister, go upstairs to the terrace, and do ‘something’. Skip, I assume. Or run. I’m not sure, mostly because, the moment I reached the terrace, I would pick up my book, and walk around, reading. It was exercise of a sort, I suppose. 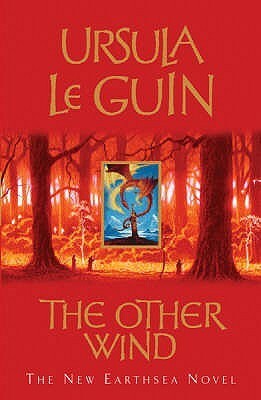 One of the books I picked up was Ursula le Guin’s Earthsea Quartet. I was coming to it fresh from The Lord of the Rings, and I knew, already, that I liked fantasy. I was more at home among dragons and Elves and heroic ideals than I was in any other place (like near a skipping rope, obviously). Being a smug little 13 year old, I thought I knew what I was in for, and being a smug little 13 year old, I was surprised. 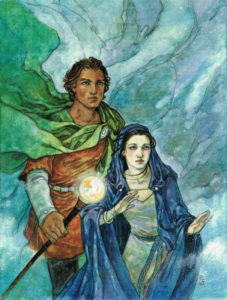 The world of Earthsea was nothing like Middle Earth. It was dirty, and it was corrupt, and its residents smelled bad and lost control of their bowels. I distinctly remember a description of a princess—a princess—gasping in fear and the narrator commenting on the snot dangling from her nose. I was so scandalized by this; I was coming off fresh from the Arwens and Galadriels, who probably never had to sneeze, let alone leave mucus dangling from their noses. But I loved it, and most of all, I loved the women in it. Two of them, specifically. I worshipped Tenar, the priestess in her tombs, who turns her back on everything she knows to flee to freedom and the outside world. I loved how she became wise, and venerable, and that I’d been able to watch her do it, in a way I never had with Galadriel. She felt reachable, closer to me than any woman Tolkien had created. And I adored Tehanu. I’ll always remember The Other Wind for its last scenes, the victory and sheer power that accompanied Tehanu’s departure. I wanted to be her, and it’s with only the smallest bit of embarrassment that I admit wishing I was part dragon, so I too could transform in a blaze of glory, and sail away from everything on the other wind. 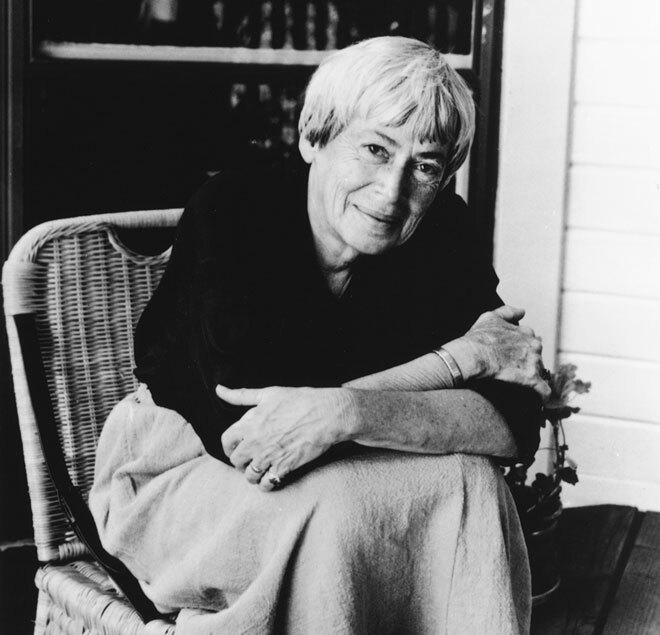 Le Guin’s world, and her women, were complicated, and messy. They were not an escape from reality. Puberty is a strange time. I remember feeling terrified, of everything, of myself, of inexplicable, hard to name things. Life didn’t seem neat and tidy, the way Tolkien’s world was at the end. There were darknesses in every corner, and I think, at that age, I was just beginning to realize it. At least, I was beginning to realize the dangers that accompanied my existence as a girl, and learning to cultivate a very particular kind of fear. And strangely enough, or perhaps not so strangely, le Guin’s fantastical world reflected that darkness. It had at its root a greyness that Tolkien’s didn’t, a reckoning with the fact that many lives are haunted by danger, and dread. And yet, her heroines managed to overcome it, whether by jumping madly across chasms, trusting to the words of a stranger, or reaching their arms up into the heavens. They struggled and they made mistakes, and they faced horrors, but they won through a hostile world. They endured, perhaps with grey in their hair, or burns on their faces. But importantly, they endured, fighting on, or flying into, another day. And I guess that’s what she’s done, enduring in a genre traditionally hostile to women, living life with a grace and fortitude that she infused in her characters. I’d like to think that she crossed that crumbling, horrible wall, and found it waiting on the far side. That Other wind, which swept her up, and took her to lands more fantastic than we can imagine.